As usual when ordering something from the Lego store I end up being below the £50 required to qualify for free delivery or the free limited model they’re currently offering. Normally I end up buying a keyring or two to reach £50, but this time I spotted something I’d not seen before. 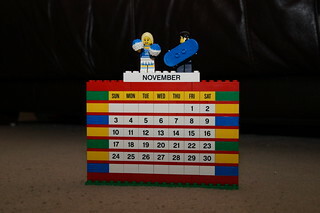 I don’t know if you could call the Lego Calendar a set in the usual sense as it doesn’t really make a model as such. 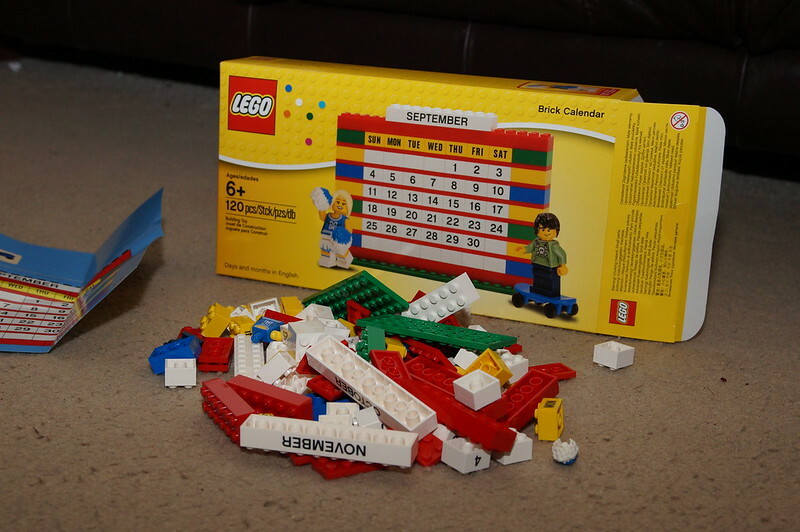 What you do get is just a pile of bricks, some with writing on – no stickers! You get six long white pieces with a month name written on each side, so you have one with January and February on, then one with March and April – you get the idea. Then you get 31 small white blocks with a number on the side ranging from 1 to 31 obviously then a couple of spares to fill in any spaces. 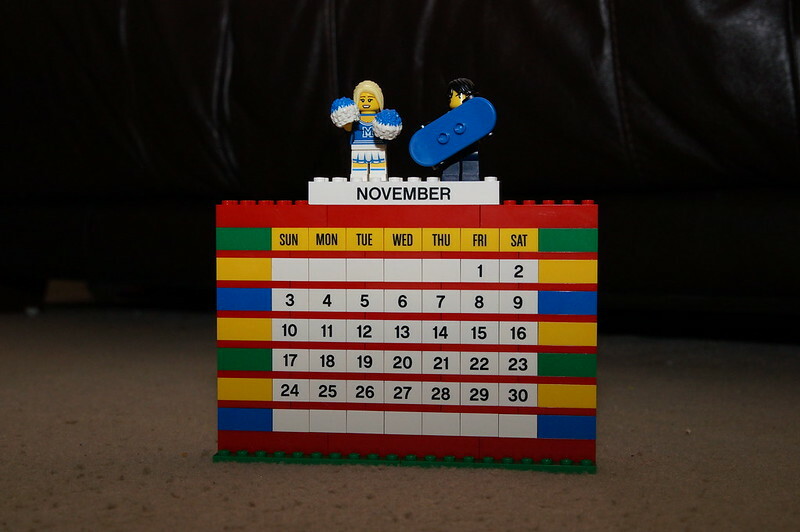 You actually get exactly enough to make the calendar, so in the months where there’s less than 31 days you have to turn around some of the blocks to make blanks. 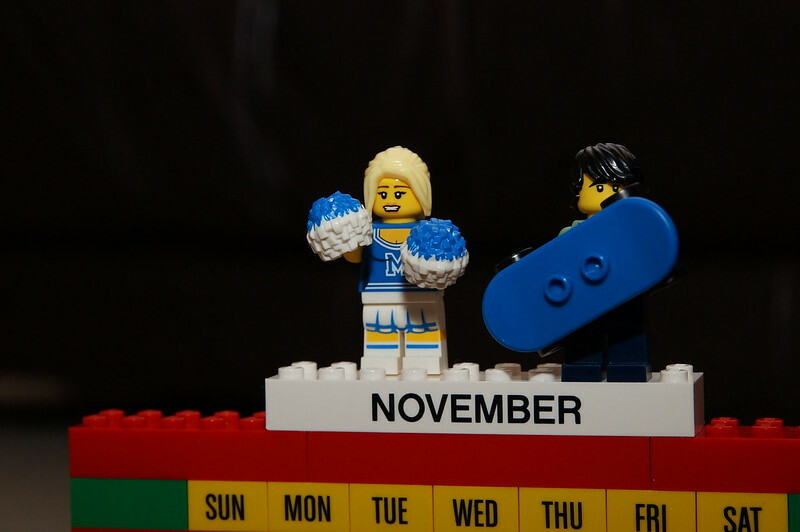 There’s not really any instructions, except for how to build the two minifigs that are included – its up to you to know which days go where in the month. 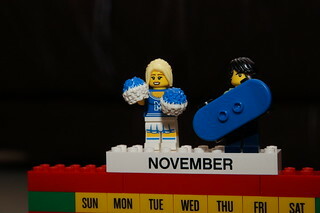 I’m not sure if the minifigs have come with any other set, although the cheerleader looks similar to one that came in one of the minifigs series but in a different colour. All in all, its not bad for a tenner and whilst not exactly a challenging model to build it’ll give me something to do at the beginning of every month and it brightens up my desk. 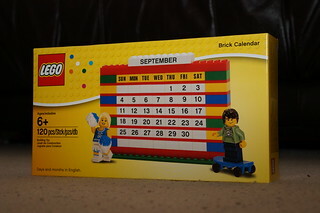 I reckon the set will also make a cool little present for a Lego lover. 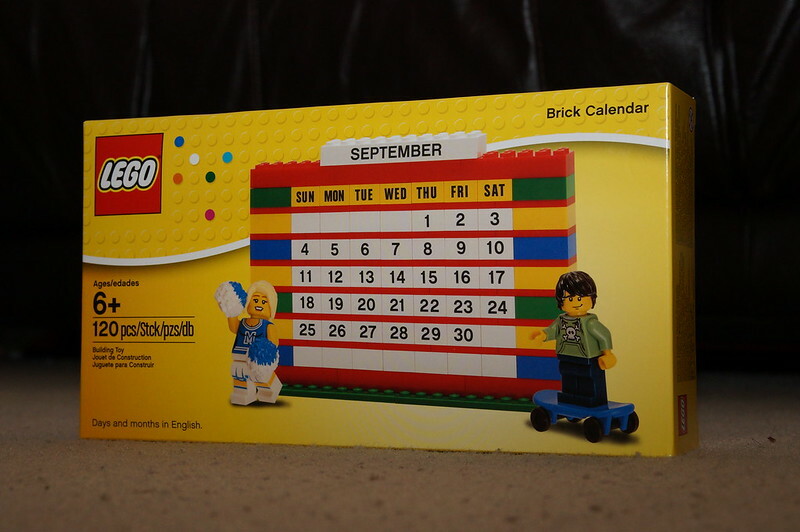 There is also a Lego Friends version which is in the pastel coloured bricks from that series and also has a slightly more elaborate base to it, but doesn’t come with any characters apart from a little chick and kitten.